Will Phu Quoc, Vietnam become an island dedicated to contemporary art? Peter, owner of The River Mouth and The Phu Quoc Gallery of Contemporary Art (GOCA) certainly hopes so. Lying on a hammock by the river, Peter tells us about his dream. He imagines that the hostel we’re sitting at will offer artist retreats and that his gallery and bar will promote both local and international talent. The ultimate vision is for others on the island to follow suit and start their own artistic spaces, making Phu Quoc a true art destination. He’s not far from this vision of building a creative community. Today, a visit to The River Mouth usually includes a community dinner below twinkle lights, prepared by an amazing chef and drinks expertly crafted by Hiep (who also helps with the gallery and bar). Both Peter and Hiep are passionate about what they hope to build. 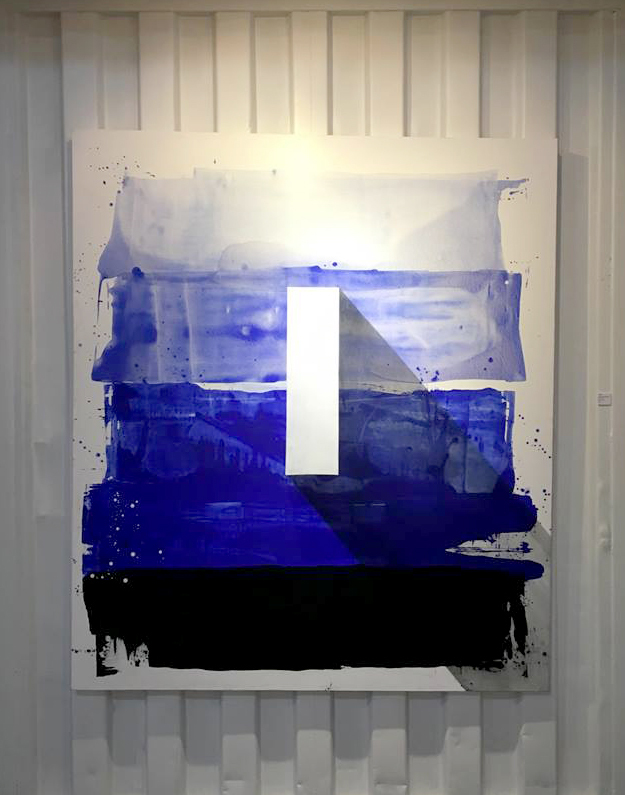 The Phu Quoc Gallery of Contemporary Art already attracts visitors from across the world. While we were in town, the gallery featured an impressive range of modern sculpture, mixed-media photography and paintings. Even the design of the space itself was a delight! Unfortunately, there is an alternate path for the future of Phu Quoc. As tourism is picking up across the island, trash has become a serious issue. While some beaches are far enough off the beaten path to remain (relatively) clean, most are not so lucky. Massive resorts and hotels are lining the beachfront and dumping waste straight into the ocean. Tourism overall is on the rise, but return visits are low - something that would be necessary to compare with the likes of Naoshima Island in Japan. We're not completely pessimistic though. After spending a few days with both Hiep and Peter, we felt inspired by their commitment to making Phu Quoc a destination for the arts. Only a quick 30 minute flight from Ho Chi Minh City, Phu Quoc is well positioned to become an international cultural hub, artist haven, and art tourism destination. The question remains: can artists save a place from human filth? We sure hope so! One band came up in almost every conversation we had with Wellington music lovers. This band embodies the relentless work ethic and experimental spirit we found characteristic of music artists in the city. That band is Orchestra of Spheres. 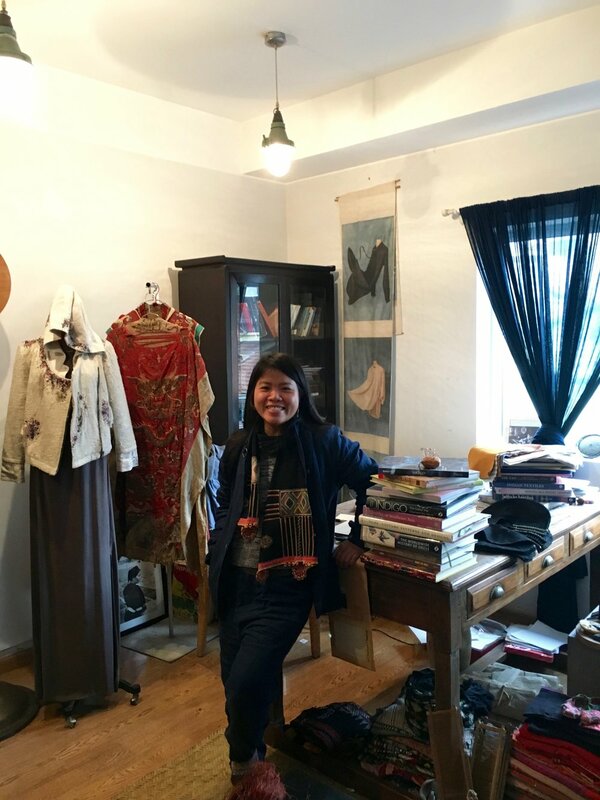 What is indispensable for creative life in Hanoi and Ho Chi Minh City? We asked designers, musicians, writers, and artists where they feel inspired, where they collaborate, and where they create. From their answers, we have created a list of the five essentials to creative life in Vietnam. Sitting on a red plastic chair, watching the world go by. Finding that perfect moment when traffic is light to hop on your bike a explore a new area of the city. Discovering the perfect nook in a hidden cafe for a brainstorm, an impromptu gallery opening, poetry readings or concert. Keeping the creative juices flowing for happy hour and enjoying a glass of bia hoi (fresh beer) with friends. The easiest way to spark debate (or argument) in Vietnam is to ask someone if they prefer Ho Chi Minh City or Hanoi. 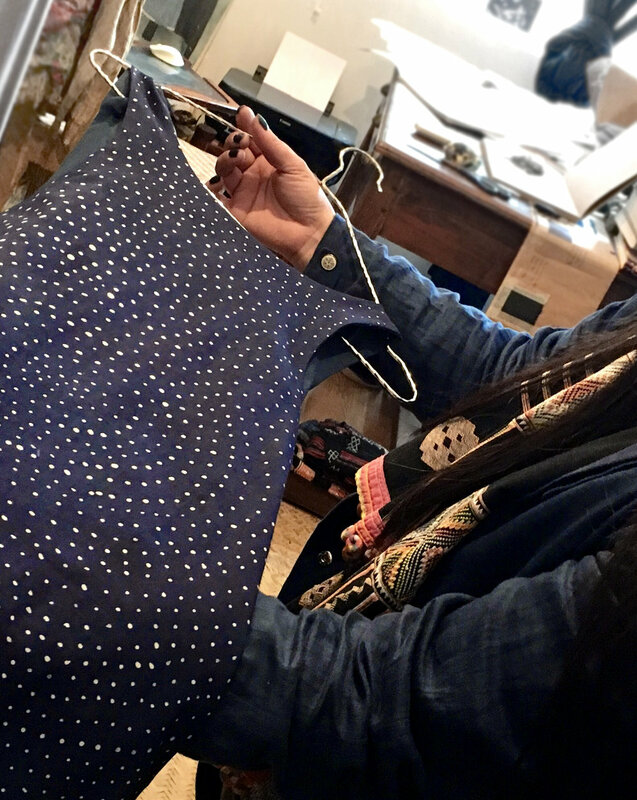 In addition to the deep, historic, political divisions between the largest cities of the North and South, each place also has its own modern, cultural identity. Despite these differences, there is a palpable energy and excitement that can be felt in both cities. From graffiti artists touring the countryside to entrepreneurs taking risks to promote local artists, there’s an inspiring generation determined to build a creative culture across the country. Most visitors spend a day or two in each city and leave. That is a mistake. These are cities to be savored. Whether it’s a world class cocktail bar in an seemingly abandoned building, or some of the best street food in Southeast Asia, there are surprises around every corner. Grab a coffee or beer outside of a local spot, sit on a tiny red chair, and watch the world go by. Make friends while drinking bia hoi (at your own risk) and eating ribs in Hanoi. It’s an acquired taste, but an experience you shouldn’t miss. 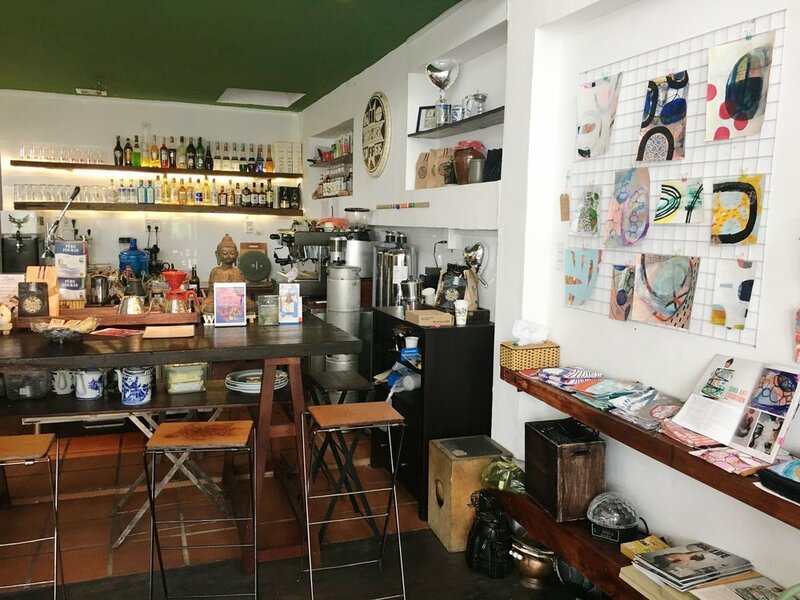 Spend a quiet afternoon drinking coffee and writing at one of the many creative cafes. You’ll be sure to overhear an exciting conversation about someone’s next artistic endeavor. 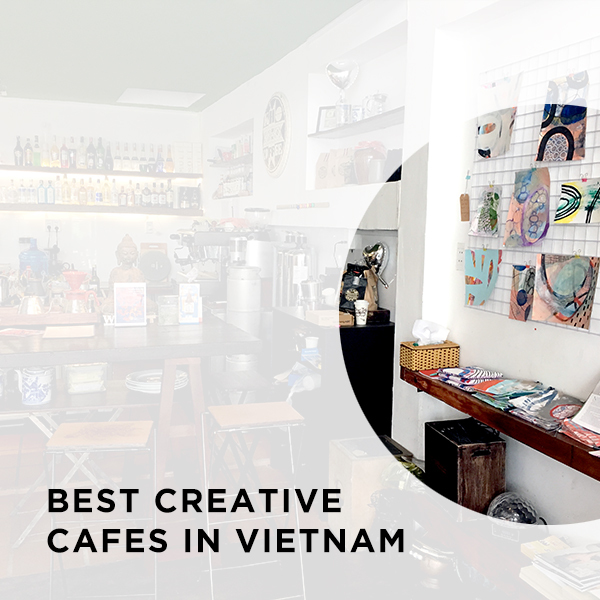 Cafes are central of Vietnam's creative scene. 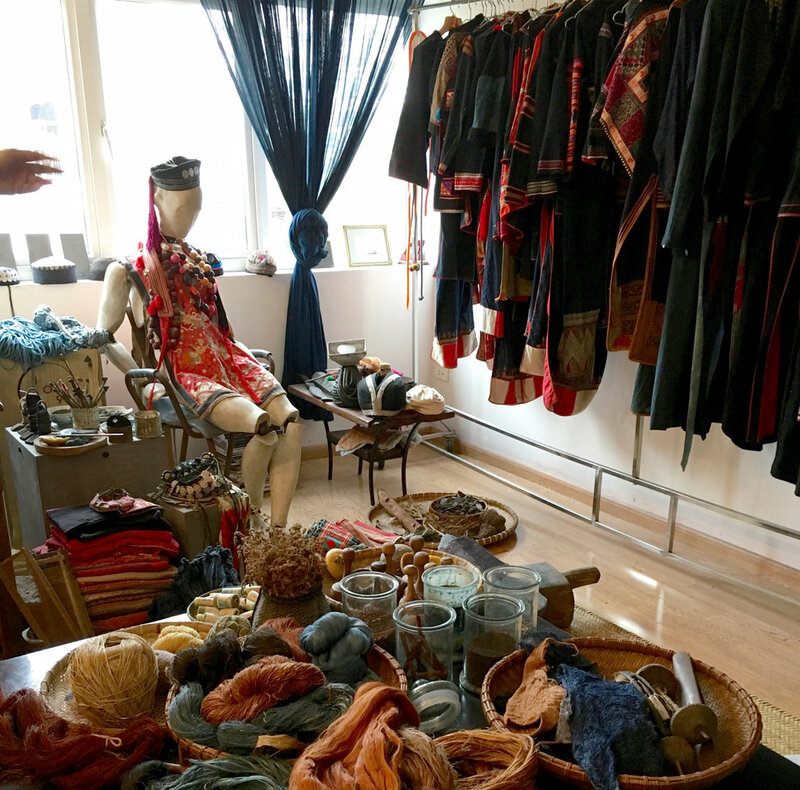 They are a place to work, a place to collaborate and are places where poetry readings, open mic nights, art galleries, and musicians come together. Hop up to the second floor to find a cozy nook to make your own. In District 2, this graffiti art clad venue not only makes a mean coffee, but also features up and coming local artists. 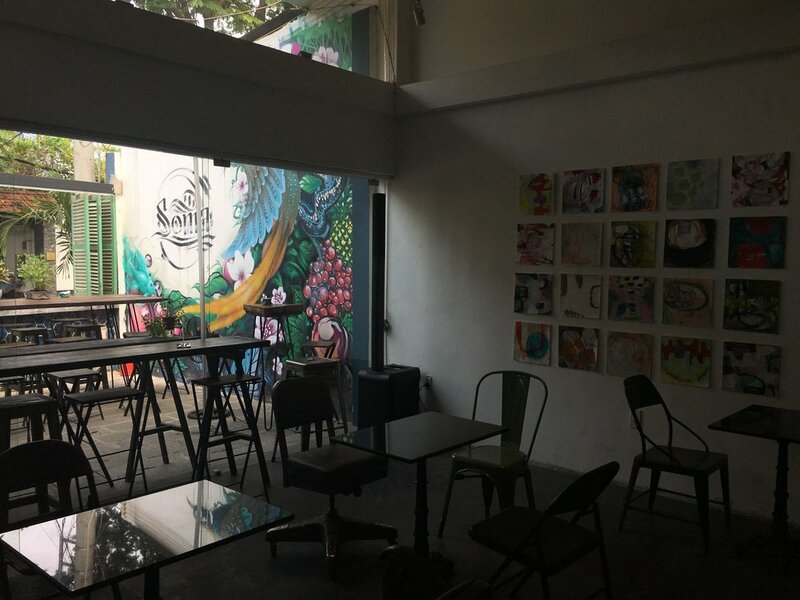 This art gallery and cafe in Hanoi in an old French Villa where you can enjoy your drink while seeing art from leading Vietnamese contemporary artists. 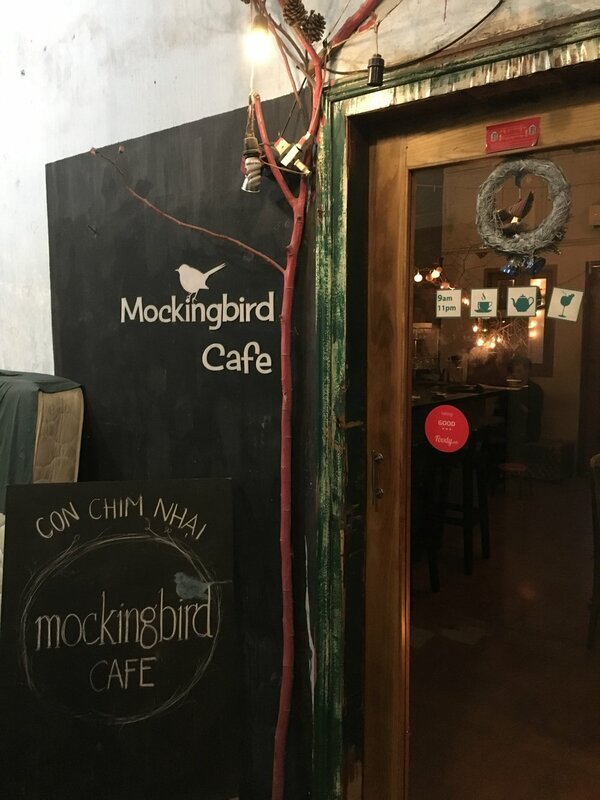 In what may look like a rundown apartment building from the outside, leads up 4 flights of stairs to this wonderful little cafe. Leave you shoes downstairs and sneak on up to the second floor to find a silent retreat. Swing by in the evening for their open mic, piano night, or movie screenings!